MorganStanleyGate: Messrs. Svaty & Corkins: Could You Investigate Yourselves And Advise Us If You Committed Paternity Fraud? Messrs. Svaty & Corkins: Could You Investigate Yourselves And Advise Us If You Committed Paternity Fraud? With regard to Svaty’s paternity fraud, the below document evidences a conflict of interest instanceDIRECTLY involved in Svaty's paternity fraud, and accordingly was named as a primary defendant in a Federal "Color Of Law" Criminal Indictment -- his name is Bob Corkins, who would be the person to coordinate the investigation of Svaty's wrongdoing with the Kansas State Appeals Committee. 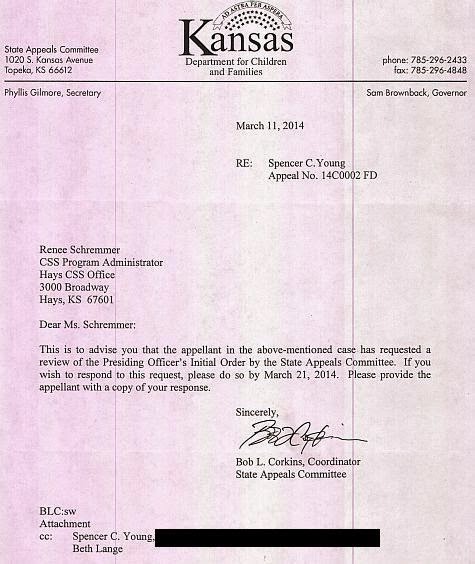 Now Get This: Corkins was the Chief Attorney of the Kansas Dept. of Children & Families, and after he was named in the Federal criminal indictment, he was promoted to the position of Coordinator of the State Appeals Committee that would purportedly review his wrongdoing, so he could tell the Feds: "We've got this". Folks, you just can't make this stuff up !